I recently received a very nice story from a friend regarding her childhood. After reading it, I thanked her for sharing it because it was a really nice story. Then she asked me, “What are some of [my] favorite memories of childhood?” Wow, good question. 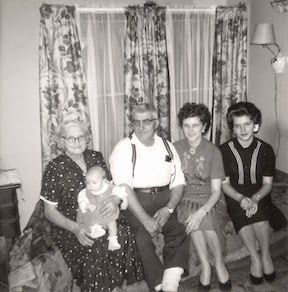 Certainly, some of my fondest memories relate to visiting my grandfather, Richard Earl Brown, up in Motley, Minnesota. One of my favorite memories was the first time I drove a “car” by myself. I had this crazy uncle. I’m not sure he was actually an uncle, he may have just been some distant relative they called “uncle,” or maybe just a neighbor that they called “uncle.” Anyway, this uncle was into steam power. In the early 1960’s he believed that steam would make a comeback. 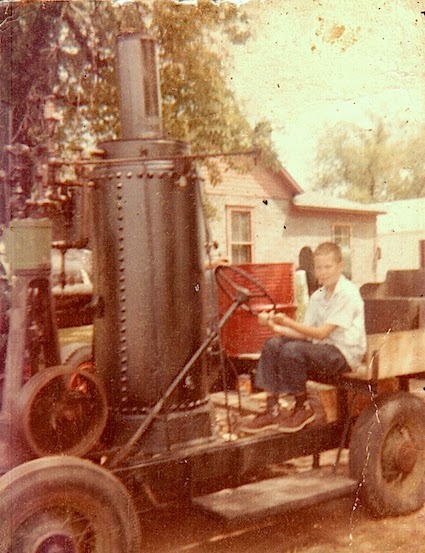 He had built several large steam powered “tractors” that were in various stages of operability. He also built a much smaller “car.” This was a real contraption: a steam engine, with space behind the driver for wood, a tank for water, and open belts and pulleys on an old truck chassis with car tires. One day “Uncle Steam Engine” fired started a fire in the box of the small steam car and had me load it up with wood to get a good head of steam going. Once it had a good head, and he showed me how to operate the contraption he let me go and take it around the block. At that time it was all dirt roads around his place but it was amazing. It probably only went about 25 or 30 miles per hour and you had to slow down a lot to corner the bald tires around the soft sand but it was amazing. No horn but it did have a funny low pitched whistle which kind of sound like a “Dooo.” I was about 12 at the time and found this experience to be one of the most exciting experiences of my life. I would love to hear from anyone who remembers who it was in Motley that had the steam engines. As I recall he lived south and east of the Hanson Bait Shop and only a few blocks from the old Brown house (Mary Elizabeth (Manning) Brown and her son, Richard Earl Brown) in the early 1960s. Thanks Lee Ann for asking and helping me remember an interesting and exciting experience from my youth.